These artisans are doing more than selling every conceivable cut of humanely raised meat: They're offering demos and DIY classes and even turning their shops into restaurants at night. You don't see many push-button cash registers anymore. How great, then, that The Butcher & Larder owner Rob Levitt, the former chef at Mado, installed one to ring up items like his bone marrow-spiked burger patties. 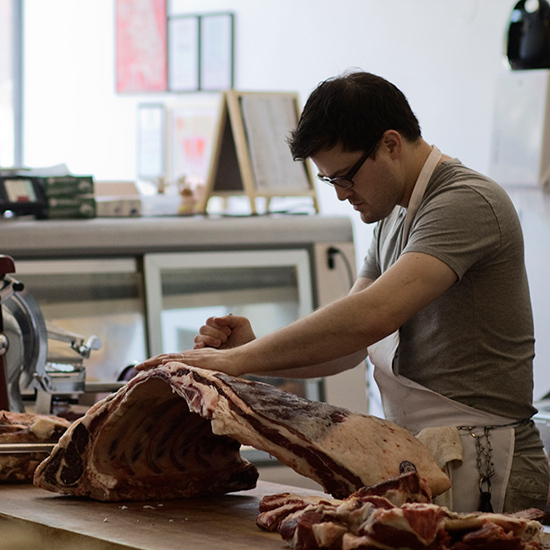 The register is right next to the wooden table where he and his staff do all their butchering, so customers can see where their favorite cuts come from. 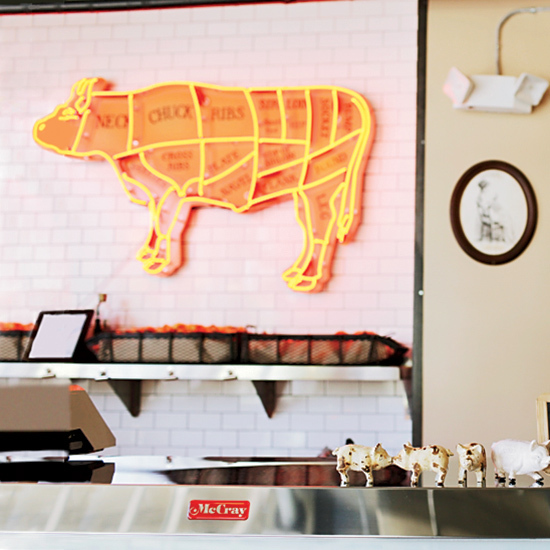 "We are just a classic butcher," says co-owner Eric Finley. That's an understatement. 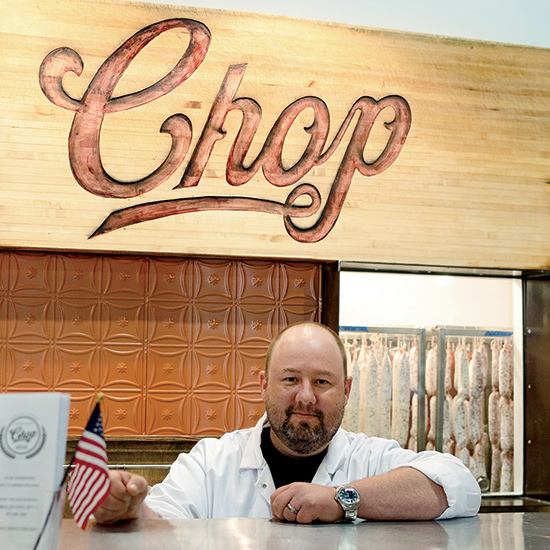 At Chop's new outpost inside the HUB building, Finley offers an amazing array of house-made sausages, pâtés, rillettes and cured meats—coppa, bresola, lardo, lomo, confit, pancetta, bacon. He sells meat, too, most of it locally raised. "No frills, but awesome product," Finley says. 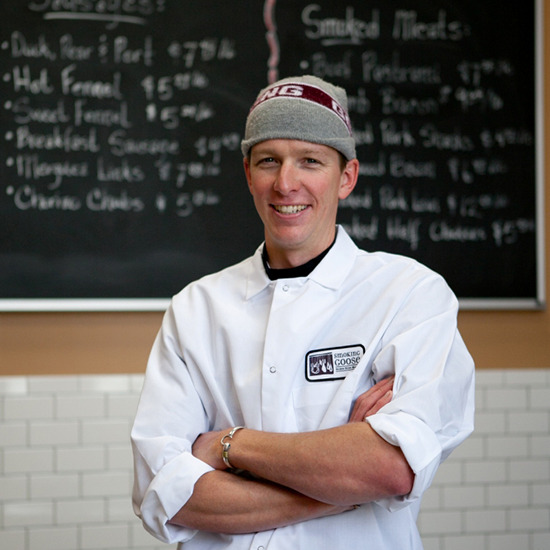 He and co-owner Paula Markus (whom Finley calls "the raddest female butcher") use their cured meats to fill sandwiches like the Italian Stallion, a mix of prosciutto cotto, two kinds of salami (piccante and garlic-black pepper) and mortadella, plus provolone cheese. Olympic takes cured meat seriously enough to have a "head salumist." That's Elias Cairo, who oversees both the new Northwest location of this deli-restaurant and its original spot. As is fitting for a place with such respect for salumi, Olympic offers a salami-of-the-month club and courses on whole-hog butchering. The pork products are stellar, but Olympic also makes a great smoked-chicken-salad sandwich. 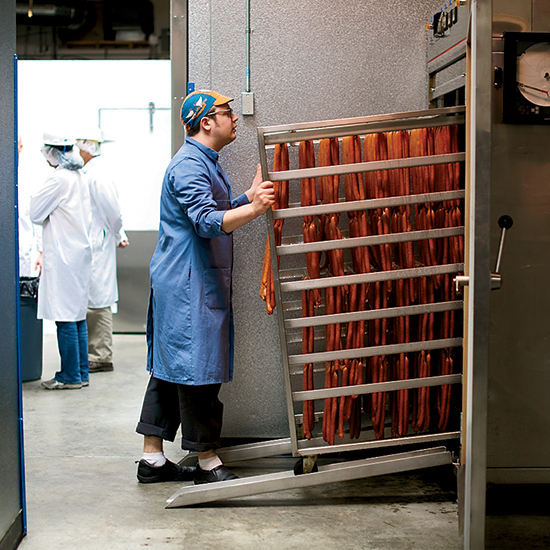 At the new offshoot of the busy Goose the Market, chef-owner Chris Eley breaks animals down into whole muscles (known as "seam butchery") and makes sausages like gin-and-juice salami (juniper-and-orange-peel-cured lamb). Amelia "Lindy" Posada and Erika "Grundy" Nakamura moved from Brooklyn, New York, to help bring the meat-artisan trend to L.A. Along with conventional cuts of organic, sustainable pork, beef and lamb, the women offer custom specials like kalbi (Asian beef chuck short ribs).